Let's take a rest from all those action, epic, period, fantasy, sci-fi and any other kinds of movies and focus on the glory of sports. Nowadays we seldom see this kind of movies, becuase studios are now only up for the blockbusters, the hit, and the box-office success movies. So, here is our chance to watch another good old sports movie. 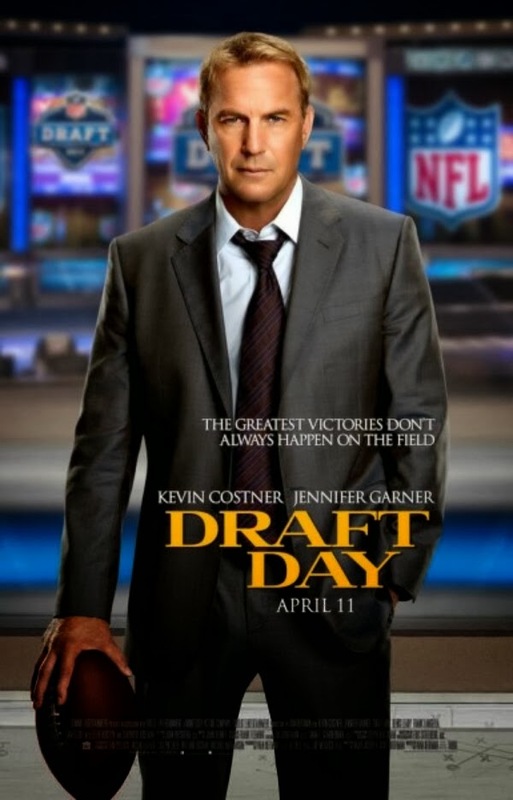 Draft Day brings together Kevin Costner, Jennifer Garner, Ellen Burstyn, Denis Leary, Frank Langella, Chadwick Boseman, Sean Combs and it's directed by Ivan Reitman. The movie is based on the screenplay written by Rajiv Joseph & Scott Rothman with producers Ivan Reitman, Gigi Pritzker, Ali Bell and Joe Medjuck. Watch the official theatrical trailer of Draft Day. On the day of the NFL Draft, general manager Sonny Weaver (Kevin Costner) has the opportunity to save football in Cleveland when he trades for the number one pick. He must quickly decide what he's willing to sacrifice in pursuit of perfection as the lines between his personal and professional life become blurred on a life-changing day for a few hundred young men with dreams of playing in the NFL. Also featuring Jennifer Garner and NFL & ESPN on-air talent Jon Gruden, Mike Mayock, Deion Sanders, Rich Eisen, Mel Kiper and Chris Berman. Draft Day will put to play the game plan in theaters on April 11, 2014.